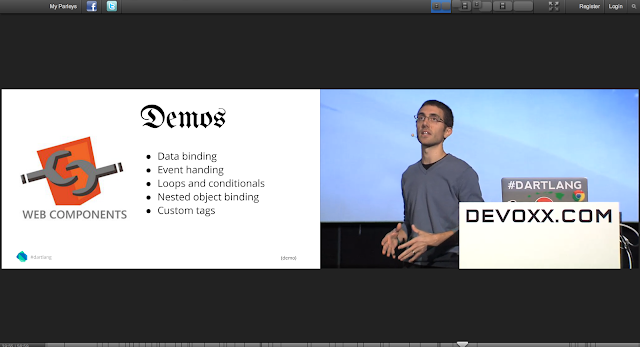 I had the pleasure of presenting Dart to Devoxx 2012 in Antwerp, Belgium. This conference had perhaps the best A/V setup of any conference that I have been to. Bonus points: the questions at the end were excellent, the audience was clearly engaged and interested. Thanks to the organizers and all the attendees! Now, you can watch the video and slides. It's free! 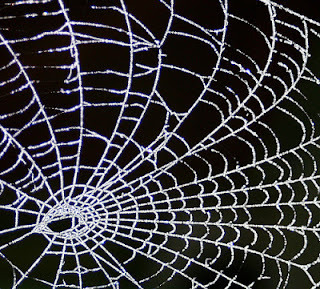 The Dart Web Components package has been renamed to Dart Web UI to better reflect the wide range of functionality found in the library. Also, syntax has been simplified based on feedback from users. This post covers some of the new features and gives tips on how you can migrate your code. Dart Web UI provides polyfills and compilers for Web Components (making them available to today's browsers), dynamic templates, and live data binding inspired by Model Driven Views. You can use Dart Web UI to build modern client-side web apps. For more information, read my blog posts about Dart Web UI or study the detailed article on the subject.